Peak Physio is one of the few clinics to offer Shockwave Therapy in Dublin. 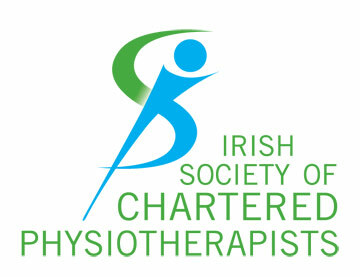 Unlike many other clinic’s we charge no additional fee and include it as part of your Physiotherapy service. Radial Shock Wave Therapy (RPW ) is a new high tech treatment which has been shown to be highly effective in treating chronic conditions such as Planterfasciitis, Tennis Elbow and Runner’s Knee to name a few. Clinical research has shown that there is a 70-85% chance that Shockwave Therapy will improve your condition. It is a safe non-invasive form of treatment. Large clinical trails have shown that there are no serious side effects or complications to this treatment. We use the Chattanooga Intel RPW, which is the latest and most advanced machine on the market. There is no additional charge for Shockwave Therapy. We charge our normal treatment rate of €60 per session. Shockwave therapy is a modern and highly effective treatment method. The term shockwave refers to high energy sound waves. In modern pain therapy, these shockwaves are conducted from the hand piece to the painful body region, where they apply their healing effect. Shockwaves accelerate the healing process by activating the body’s self- healing capacities. They stimulate the metabolism and improve the blood circulation. Damaged tissue regenerates and eventually heals. An inflammatory response, the body responds by increasing metabolic activity and blood flow around the site of injury. This stimulates the healing process. Blocking of the pain transmission through the pain gate mechanism and its effect on sensory nerves. Breaks down scar tissue and calcification’s.. Stimulates Osteophytes ( Bone building cells) which helps with bone healing and growth. We use the Chattanooga Intel RPW. With this type of Shockwave device the energy is spread over a large surface area. The device produces a low to medium energy level. Pneumatically generated shockwaves are introduced into the body over a large (radial) surface area by means of a movable head piece. The projectile located in the hand piece is accelerated to high speed by a pneumatic pulse. The therapeutic shockwave, which is generated as the projectile strikes the shockwave transmitter integrated in the hand piece. This shockwave is then introduced by the transmitter surface into the pain region to exert its therapeutic effect. Chronic inflammations are eliminated to ensure successful elbow pain relief. This provides improved elbow mobility and forearm force. The therapeutic objective is to reduce or relieve pain and to eliminate pain-induced mobility restrictions in the affected shoulder. Calcifications causing pain can also be disintegrated. Both Syndromes are Chronic, mostly sports induced disorders. The pathologically altered painful tendon exhibits a relatively large volume. The Chattanooga Intel RPW allows the target area to be covered in its entirety, thus providing the desired regenerative therapeutic effect. Shockwave therapy provides a decisive improvement in the clinical development of chronic planter fasciitis and heelspur. When pain symptoms are eliminated, the load-bearing capacity on the affected foot is rapidly increased. You should see improvement after your first treatment. However 3-6 sessions are usually needed to effectually treat a condition. Sessions are normally spread out between 7-14 days. Continued improvement can be seen for up to 3 months after the completed treatment period. Even though Shockwave has seen some excellent results, normally within 3 treatment sessions. It may take up to 3 months for maximal results to be achieved. If after 3-4 months there is no change in your condition we recommend you talk to your Physiotherapist with regard to having an Orthopaedic review by a consultant. Shockwave can be mildly painful, with treatment’s lasting between 5- 10 minutes depending on the area being treated. If the pain becomes unbearable please let your Physiotherapist know and they can alter the intensity of treatment. It can be painful 2-4 hours post treatment. However in rare cases it can last up to 48 hours. Normal side effects include reddening, mild pain and swelling. We normally recommend that you stay away from sporting or intense activity for 48 hours post treatment. As not to stress the area and allow for the healing process to take place. Water based gel is applied to the target area and the Shockwave head is applied over the area with a dose suitable for your condition. The tender area is localised with your feedback and moved around slowly or kept in situ over the target tissue for the stated dose. The treatment with the Chattanooga Intel RPW may be pain free to mildly uncomfortable. Treatment is always interactive and your feedback is monitored to ensure treatment is tolerated well at the same time. If you have any concern’s please talk to your Physiotherapist on the matter.